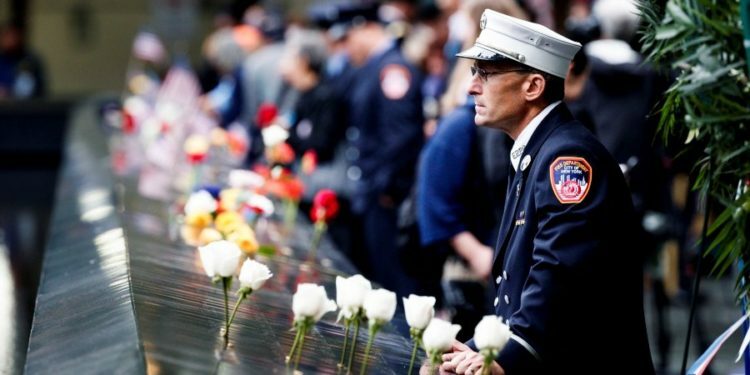 The 17th anniversary of September 11 was commemorated on Tuesday in New York in honour of the nearly 3000 people killed on the day. The event was held at Ground Zero which is the site where hijacked Al-Qaeda planes destroyed the Twin Towers. People gathered at the National September 11 Memorial and marked moments of silences at 8:46 am and 9:03 am – the exact times that the passenger jets struck the North and South Towers. The ceremony was attended by New York Governor Andrew Cuomo, US ambassador to the United Nations, Nikki Haley and Mayor Bill de Blasio, together with his predecessors, Michael Bloomberg and Rudy Giuliani. The New York Stock Exchange also marked a moment of silence at 9:20am and fire stations welcomed relatives of those who were killed. The fire department suffered a particularly heavy blow, losing a total of 343 persons. Aside from the loss of lives, many others have developed illness, many of them terminal, as a result of inhaling the toxic fumes.